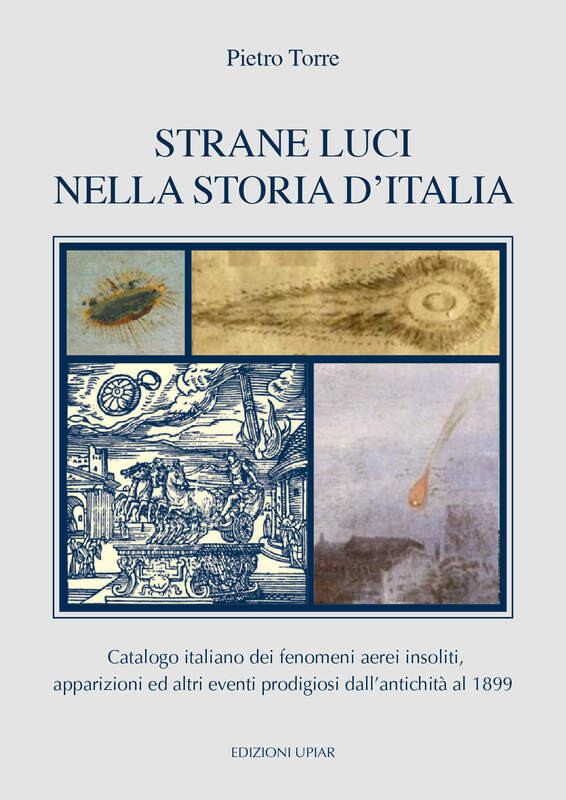 PreUfoCat is the catalog of unusual aerial phenomena over the Italian peninsula all along the centuries before 1900, coordinated by Pietro Torre. 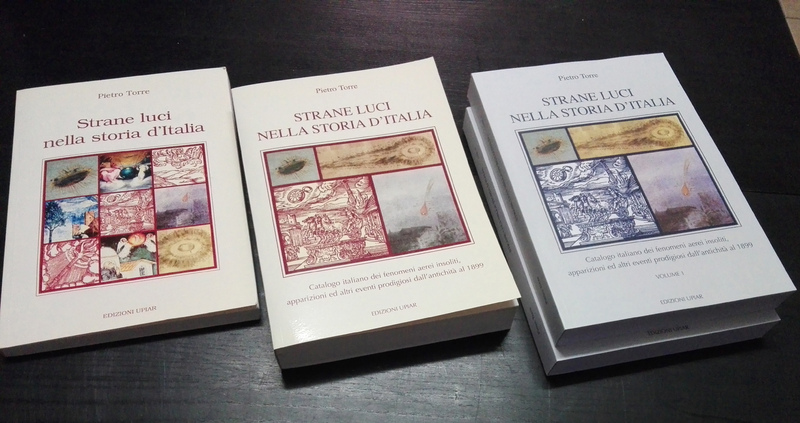 Its third edition has just been published by Upiar Publications under the title “Strange Lights in Italian History”. 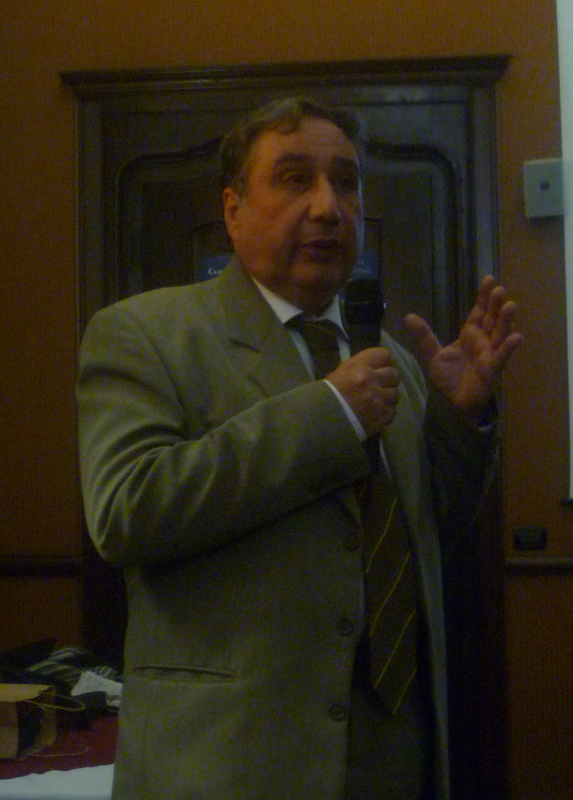 The first edition (November 2011) presented about a thousand case histories in 260 large-format pages. The second edition (exactly three years later) had doubled the total of cases collected and reported in full, with bibliographic sources and illustrations, coming to 684 pages for a limited edition (for collectors only) on paper, while the catalogue went out in a digital DVD edition (with a 12-page introductory paper booklet). 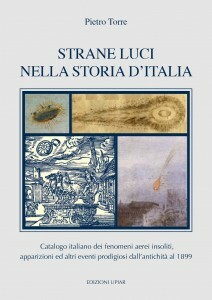 This third edition, arriving almost four years after the second, has risen to over 3,400 case histories, so that the 1,010 paper pages have been broken into two volumes for the limited edition (once again for collectors only, in full color), paralleling the DVD edition. Both versions (as well as previous editions) can be purchased as usual from the Upiar Store website. 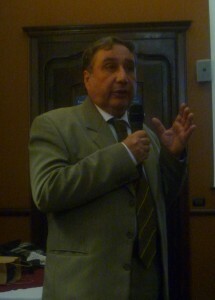 Below: comparing the three editions of PreUfoCat.